Rheumatoid arthritis (RA) and lupus are two conditions that cause joint pain. Although joint pain as a common symptom, they are two separate conditions requiring different treatments. Arthritis is a chronic inflammatory condition affecting the joints, and there are many different types of arthritis. Rheumatoid arthritis is an autoimmune disorder in which the immune system acts wrongly and begins to attack itself – in the case of RA, it’s the joints that are under attack. Lupus is also a chronic, inflammatory condition with an autoimmune pathogenesis. The first sign of lupus is often the butterfly or malar rash that appears on the face as well as other parts of the body – on the arms, legs, or trunk. It can be mild, like a light blush, or it can be severe and scaly. It can last a few weeks or several months. Dermatologists and rheumatologists believe the cause is a malfunctioning in the immune system, which causes the body to attack healthy skin tissues. Here we will outline the differences between rheumatoid arthritis and lupus to help you develop a greater understanding of both conditions. Comorbidity of rheumatoid arthritis and lupus is actually quite common. Rheumatoid arthritis may exist in lupus patients, and vice versa. The likelihood of a person with lupus to experience overlapping symptoms of another condition is 15 percent, with a one percent risk of those symptoms being for rheumatoid arthritis. Rheumatoid arthritis and lupus both cause joint pain, swelling, and stiffness, so proper diagnosis requires extensive testing. Other research has shown there may be a genetic link between rheumatoid arthritis and lupus. Researchers found a variant form of a gene that was significantly higher among rheumatoid arthritis and lupus patients, compared to the controls. The gene, known as STAT4, was found to be more related to lupus rather than rheumatoid arthritis. The discovery of this gene variant further implies the possibility of having rheumatoid arthritis and lupus together. An estimated 1.3 million Americans live with rheumatoid arthritis, and women have higher rates of rheumatoid arthritis than men. According to the Lupus Foundation of America, approximately 1.5 million Americans suffer from lupus. Worldwide, the number is thought to be about five million. While lupus can affect men and women at any age, the vast majority of cases – 90 percent – are women. Most people who are diagnosed with lupus are between the ages of 15 and 44. Signs and symptoms of rheumatoid arthritis are often worse in the morning lasting for around 30 minutes. Swelling occurs symmetrically (both hands, both ankles, etc.). Common symptoms in rheumatoid arthritis include joint pain, swelling, stiffness, tenderness, prolonged morning stiffness, and reduced range of motion. These often take place in smaller joints, such as the hands, as well as in other parts of the body – like skin, eyes, lungs, heart, kidneys, salivary glands, nerve tissue, bone marrow, and blood vessels. As mentioned, rheumatoid arthritis is a type of an autoimmune disease, but the reason why autoimmune diseases develop is still unclear. The immune system mistakes parts of the body for a virus and launches an attack. In the case of rheumatoid arthritis, the immune system attacks the synovium, the soft tissue lining the surface of the joints. Lupus is a complex disease that attacks the cells, tissues, and organs of the body. Again, the cause of this autoimmune condition affecting organs and skin is unknown, but some theories point to genetics and environmental pollutants. Medical data show that about 40 percent of lupus sufferers get a butterfly rash. We also know that bloom syndrome – a condition that causes abnormalities in chromosomal arrangement in the body – can lead to rashes, including the butterfly or malar rash. People who suffer from Lyme disease are also known to get malar rash. Additionally, the connective tissue disorder dermatomyositis is considered one of the root causes of malar rash. If you have an extreme sensitivity to sunlight but are otherwise healthy, you can get a butterfly-patterned rash as well. Risk factors for rheumatoid arthritis include being a female, being over the age of 40, having a family history of RA, smoking, being exposed to environmental pollutants, and being obese. Rheumatoid arthritis increases one’s risk for a number of other conditions, including osteoporosis, rheumatoid nodules, dry eyes and dry mouth, infections, abnormal body composition, carpal tunnel syndrome, heart problems, lung problems, and lymphoma. 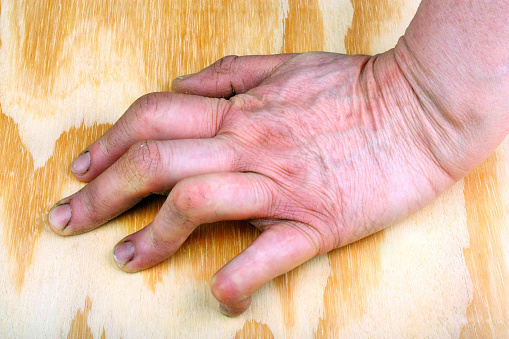 If rheumatoid arthritis is not well managed, the risk of these complications rises dramatically. Lupus is becoming an increasingly common condition. In fact, you likely have come across someone who has this condition. Lupus is more common in women, so right away you know if you are a female your risk is higher. Race is also a factor. For some reason, lupus is more common in African Americans, Hispanics, and Asians. Lupus does come with a set of possible complications. Some possible problems associated with this disease include. Proper diagnosis of rheumatoid arthritis involves a look at the patient’s medical history, their symptoms, a physical examination, blood tests to look for antibodies associated with rheumatoid arthritis, and imaging tests to determine any joint damage. Treatment for rheumatoid arthritis should begin early in order to prevent future complications. The objectives of rheumatoid arthritis treatment include reducing inflammation, relieving symptoms, preventing joint and organ damage, improving physical function and well-being, and reducing long-term complications. Rheumatoid arthritis can be treated with medications to ease symptoms like pain and stiffness. This may involve anti-inflammatory and pain medications. Other medications can be prescribed to slow down the progression of rheumatoid arthritis, including corticosteroids, biologics, and JAK inhibitors. Surgery may be required if damage is severe, and the joint must be replaced in order to improve function. For many years, physicians have turned to blood tests to try to determine if a person has lupus. Blood tests look for elevated levels of antinuclear antibodies (ANAs). These are proteins produced by the immune system that target the center of normal cells. People with lupus tend to have high levels of ANAs in their blood. Today, tests for lupus could include complete blood count, kidney and liver assessment, urine test, the ANA test, and erythrocyte sedimentation rate, which gauges how fast red blood cells settle at the bottom of a tube (faster rate indicating systemic disease). If a doctor suspects that lupus is impacting organs, they may order imaging tests as well. Treatment for lupus can involve nonsteroidal anti-inflammatory drugs (NSAIDs), antimalarial drugs, corticosteroids, or immunosuppressants. The doctor usually adjusts the treatment as symptoms flare and subside. Each patient is different, and regular follow-up with a doctor is crucial. Devon Andre has been involved in the health and dietary supplement industry for a number of years. Devon has written extensively for Bel Marra Health. 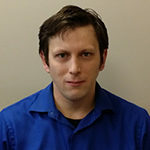 He has a Bachelor of Forensic Science from the University of Windsor, and went on to complete a Juris Doctor from the University of Pittsburgh. Devon is keenly aware of trends and new developments in the area of health and wellness. He embraces an active lifestyle combining diet, exercise and healthy choices. By working to inform readers of the options available to them, he hopes to improve their health and quality of life.